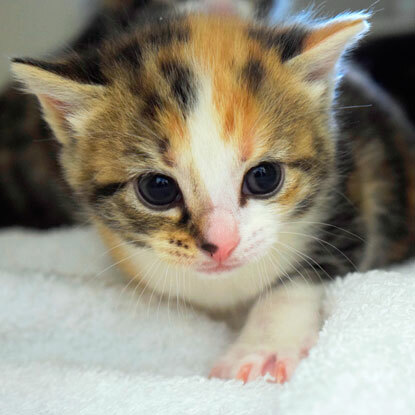 Follow the progress of Daisy and her kittens with our kitten watch series. On 29 March, the four kittens born at Cats Protection’s Bridgend Adoption Centre turned four weeks old. They are already starting to find their independence and their individual personalities are starting to shine through. Eira is the confident one – as soon as the pen door opens she waddles over to see what's going on. Emma is the nervous one but she is also the smallest of the four. Dewi is the laid back kitten and Daffodil is a total mummy's girl as she is often found with Daisy's paw wrapped around her for some cuddles. Each of the kittens are happy wandering around their pen, drinking water from a bowl and learning to play with their toys. They have also begun teaching each other important social skills, including something called ‘bite inhibition’ which can see in the video below. This is when kittens learn to use their mouths safely, as their sharp teeth could easily cause harm by biting too hard, particularly when they are adult cats. They practice using their mouths on their litter mates, who will quickly let them know if they are biting too hard! 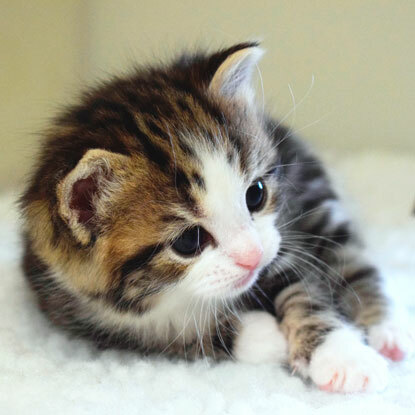 Kittens that don’t learn appropriate bite inhibition as youngsters can sometimes be too forceful with their mouths when older, causing pain to other animals or humans even if it was just intended as play. 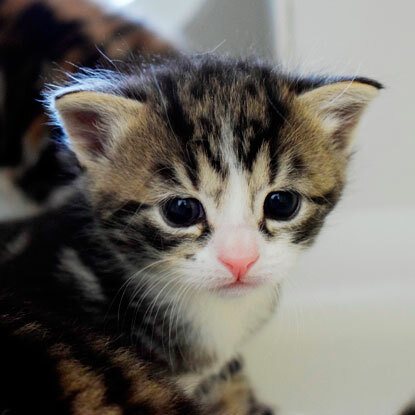 At three to four weeks old, kittens can start to be weaned away from their mum, so Daisy will soon be able to get some well-earned peace and quiet at meal times. It’s important that kittens feed from their mother in their first few weeks as her milk contains vital antibodies that will protect them from disease, but when they are three to four weeks old they will start to need the added nutrients that they can only get from kitten food. Weaning needs to be a very gradual process, so the kittens will first be given diluted kitten milk in a shallow bowl while they also continue to suckle from their mum. Then, over three to four weeks, an increasing amount of wet kitten food will be added to the milk until the kitten is eating only solid food. Daisy’s four kittens have already started trying to get their paws on their mum’s food, so it looks like they will have no problem switching to solids. 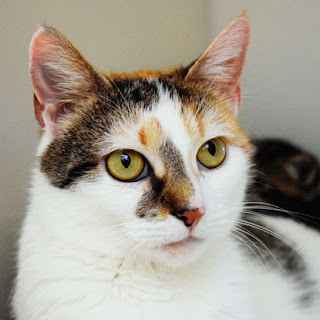 When they are eating, Daisy will be able to go into the pen above theirs for a nice break while the centre staff monitor the kittens’ progress closely to make sure they are eating well. They all look adorable. 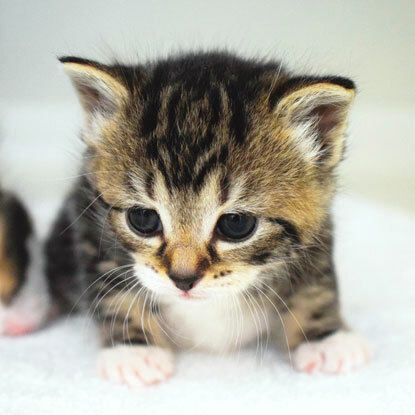 I would like to home a little female kitten. Please advise procedure?